So far seph88 has created 32 blog entries. Great pub with the local keithley ale; timothy taylors on tap. Great food I recommend the homemade pies.A well run pub with very good staff the land lady organises people well …hats off to Andy who seems to remember everyones name. Absolutely fantastic place to stay, eat and drink! We had lunch, evening meal and breakfast and all were delicious with lots of choice and good sized portion. Friendly yet professional staff. Superior suite very comfortable and classy. Great views. Thanks to everyone at the fleece inn. The whole visit was also great value for money. This pub is in Main Street Howarth and thousands of tourists must pass it as they walk up the steep cobbled street to the Bronte Parsonage. We thought the prices very reasonable for a tourist hotspot. Excellent Timothy Taylor beer and a very good meal in this historic inn. First visit here to the fleece inn. And they say first impressions last. And they certainty made sure it was a positive experience. The staff here love their jobs. That is clear as they just want you to enjoy your time here. Visited with family whilst staying in the area for drinks and food. Dog friendly pub serving good food and drinks in a lovely village by friendly and helpful staff.  The food is freshly cooked with a good menu with lots of vegetarian offerings that meat lovers will like too. 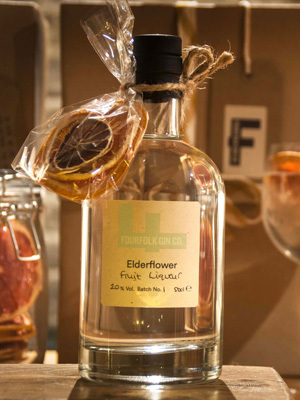 Fourfolks Gin is produced by two brothers and their better halves. 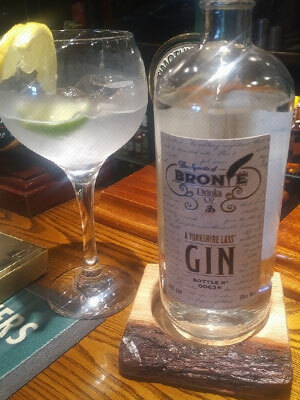 Sharing with you a smooth Gin with seasonal fruit gin liqueurs, all developed in Haworth, Yorkshire. 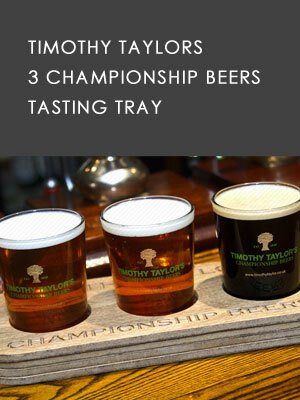 Try our Timothy Taylors tasting tray which boasts 3 championship beers of your choice. 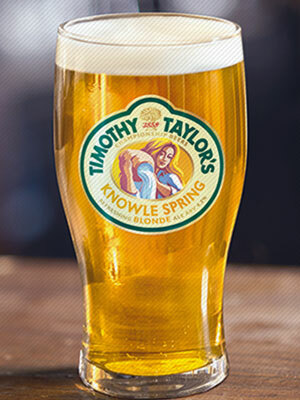 Choose from Timothy Taylor favourites such as – Landlord, Golden Best, Ram Tam, Boltmaker and more. Knowle Spring Blonde is a full-bodied blonde beer brewed with Golden Promise barley malt, Strisselspalt hops from Alsace, and UK-grown Minstrel, Cascade and Chinook hops. It’s an easy-drinking beer with floral and grapefruit aromas, spiced orange on the tongue followed by aromatic citrus hop flavours to finish. Stayed for 2 night this weekend and had a great time, staff are so helpful and courteous the place just can not be faulted, rooms are beautiful the decor is very warm and cozy and the food is to die for me and my wife will return here no doubt about it.